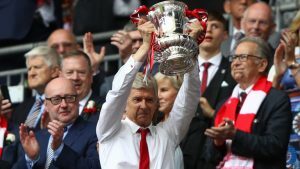 Manchester City not invincible – Wenger – Royal Times of Nigeria. Manchester City have opened up an eight-point gap at the top of the English Premier League table, but Arsene Wenger is not convinced they can have an unbeaten in this season. Because City have won 10 of their opening 11 games, and only a home draw against Everton in August deprived them of a perfect start. Also beat arsenal 3-1 in earlier this month extended their winning streak to 15 games in all competitions. When asked whether City could emulate this “Invincibles” Asernal manager said there was still a long way to go. Winger also stated that“They are in good side but they are not an unstoppable side,”“People always want to predict what will happen in the game.